Buffer Seals are used to protect the rod seal from pressure spikes. 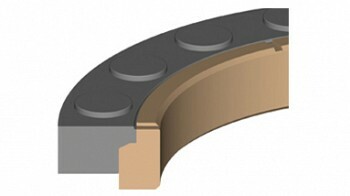 A Buffer Seal's design incorporates channels that allow fluid to flow around the buffer seal under normal operating conditions. In the event of a surge in hydraulic pressure, these channels bottleneck the applied pressure and prevent the spike from reaching the rod seal.